Modern Beauty Girl: Cute, Cheap, Sunglasses? Yes, Please! Cute, Cheap, Sunglasses? Yes, Please! There are few things I love more than a good pair of mirrored sunglasses! 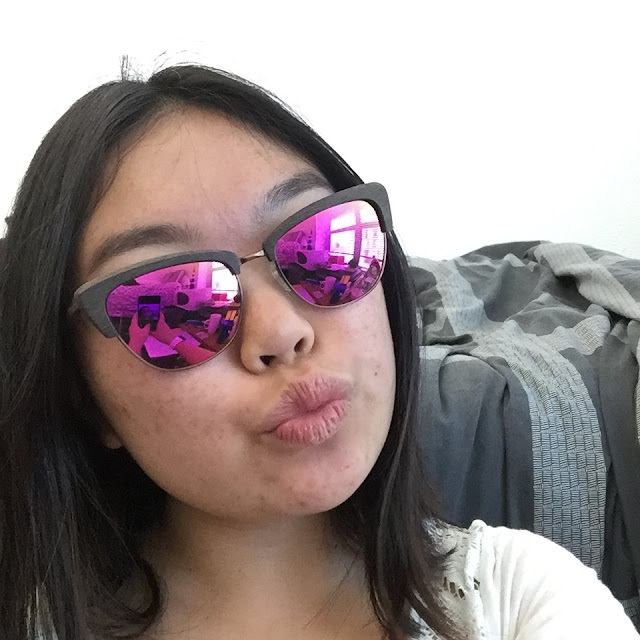 When Firmoo reached out to me and offered me a pair to try for myself, I happily picked out this amazing pair of pink mirrored cat eyed sunnies! Sunglasses are one of those things where it's hard to find a good middle ground. Sure, there are cheap retailers like H&M and Forever 21, but while those pairs might be trendy, they never really feel sturdy. On the other hand there are companies like Oakley and Ray Ban that are really great quality, but incredibly expensive! I think that Firmoo fits the middle ground here. The pair I got is #FTO364 or "Women's full frame, mixed medium sunglasses". It comes in a red or pink lens with either brown or black wood. They retail for $29, which is really reasonable. When I got them, I was immediately taken aback by the quality! It feels really sturdy and has a nice weight to it, which was surprising because wood can be quite flimsy sometimes. These sunglasses also come with a hard case and a soft bag for them. It also came with spare nose pads and a dual tipped mini screw driver in case something comes loose. Those are things that I never expected getting for a $30 pair of glasses! Heck, I don't think I've gotten them for even more expensive glasses! I really do recommend Firmoo if you're looking for a mid-priced pair of sunglasses that feels high end. They also make prescription glasses and sunglasses, but I can't recommend them or speak for them because I haven't tried that myself. Let me know in the comments if you've tried anything from Firmoo before or if you're going to order something! yeah the wood makes it a little more boho, which I love! Bethany Mota Gives Bad Diet Advice!